Back in September, German tuning shop G-Power announced their newest project – The F90 M5. G-Power increases the performance of the F90 M5 to a level that is not reached by many super sedans. 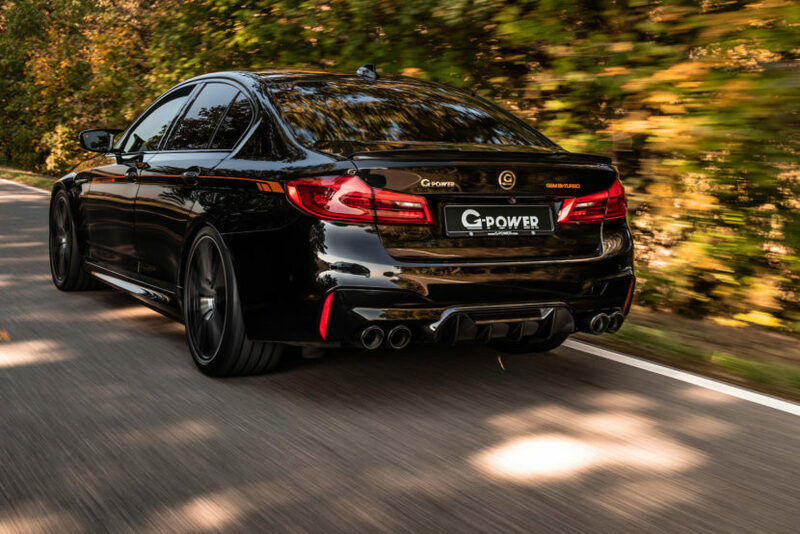 And as can be heard in the video, the G-Power M5 also offers a matching sound. G-Power is modifying both the hardware and the software of the vehicle for the impressive increase in output of 200 hp and the significant increase in torque to 980 Newton meters. The focus is on the two turbochargers of the 4.4-liter V8 engine: Larger turbine and compressor wheels, an enlarged intake area and optimized housings, together with downpipes and titanium exhaust systems. You can have your 4.4-liter twin-turbo V8 taken up to 700 HP in the first stage. Torque also goes up from 750 Nm (553 lb-ft) to 840 Nm (620 lb-ft) and all of it is achieved solely by changing the ECU map. The Stage 2 upgrade takes things up to 750 HP and a maximum torque of 920 Nm (679 lb-ft) of torque. In this guise you need to add downpipes and new catalytic converters to the mix. Last, but not least, the 800 HP Stage 3 upgrade comes with 980 Nm (723 lb-ft) of torque. 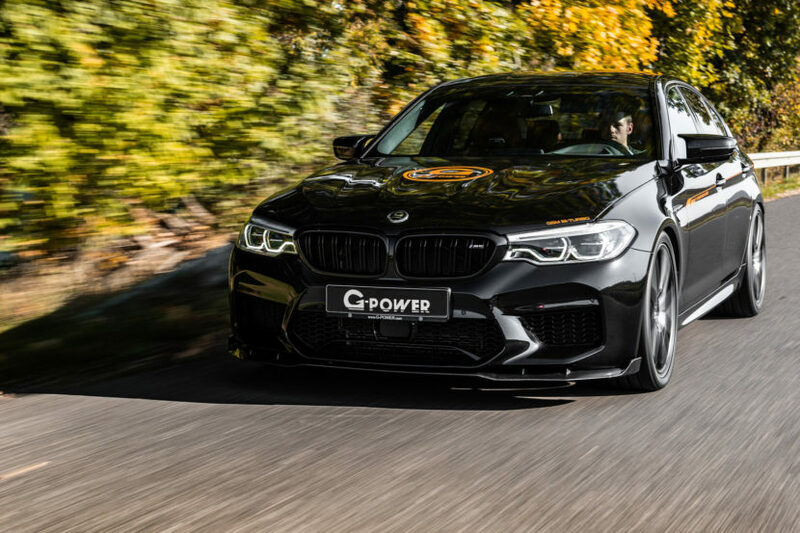 G-Power claims that with the new power levels, the M5 can do 335 km/h (208 mph) and will accelerate from standstill to 100 km/h (62 mph) in 2.9 seconds.